Happy Chinese Restaurant, the iconic Idaho Falls Chinese restaurant, opened in 1988 in historic downtown Idaho Falls. Jay and Lily Li own and operate both Happy Chinese Restaurant and Happy Chinese Express where they enjoy making their customers happy with their delicious dishes whose origins stem from northern China. Jay Li studied Chinese culinary arts and worked for several years to perfect his abilities. When he came to the United States, he spent several years practicing his talent and work. Happy’s dishes feature flavorful fresh-cut meats, crisp vegetables, and homemade sauces. 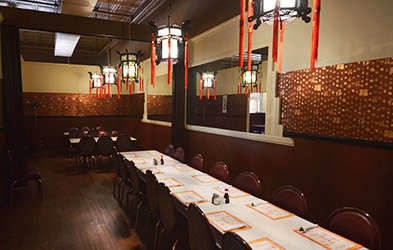 The quality of the ingredients can be tasted in every bite, which is why Happy’s is included in the “Top 100 Overall Best Chinese Restaurants in the USA” six times, and Idaho Falls Magazine’s “Favorite Local Chinese Restaurant” for the last six years. Both Happy Chinese Restaurant and Happy Chinese Express serve lunch and dinner and offer takeout and delivery.